First impressions count. Years or even decades later, I still remember the bands that blew my mind within seconds of pressing play. Here are just a few: the first Suicidal Tendencies album (in my friend’s basement), Black Flag’s Damaged (waiting for the bus in a high school hallway), Black Sabbath’s Paranoid (on vinyl, alone in my bedroom). More recently, the bands that struck me were Sunn O))) (an opening act, eardrums rebelled) and The Gates of Slumber’s Conqueror (on CD while driving). Then there’s Mitochondrion‘s Parasignosis (Profound Lore, 2011). I struggle with the band’s name because it was the answer to a quiz question in honors biology (I got an A). Semantics aside, this is another wonderful find by Profound Lore, who have a track record for finding material this good and giving it proper, respectful treatment. The Canadian band joins an Olympic roster that includes Vasaeleth, Salome, Portal, Dawnbringer, and a few other bands that Chris Bruni is busy discovering. What makes Mitochondrion stand out is their ability to bring order to chaos. They are like the lunatics who chase tornadoes with cameras and turn crazy footage into documentaries. If there were a forest, they could turn it into a bedroom community. It’s a trait they share with Deathspell Omega, who craft a dizzying amount of sounds and influences into something palpably evil and eminently listenable. When most other bands try this, it sounds like they are toying with forces they don’t understand. 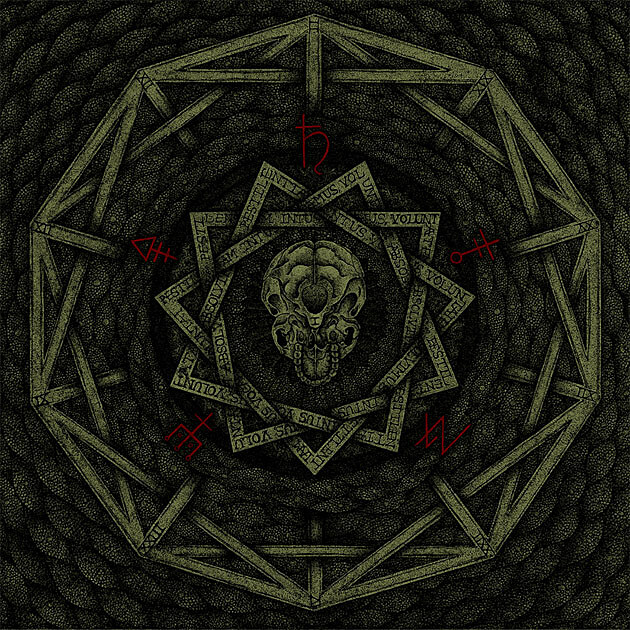 Mitochondrion don’t play straight black metal – like many of today’s best bands, they are a hybrid – but they are also able to harness a musical storm. “Lex Ego Exitium” opens with a slow, repetitive riff and a wailing guitar that would fit on an early Neurosis album. The song completely changes directions, and the band seemingly goes into fast forward. There’s so much going on in just a few minutes, and yet it works. The title track feels like a rip current; you are pulled under and fighting for breath. You might make it to shore; you might drown. This album that deserves to be heard without gaps and with appropriate time. I received a free promo copy, but it prevented me from listening to it without gaps. So I went out and bought the album. Is there a better endorsement than paying for something you received for free so you could have the intended experience?